James Debenham and Merv Travers publish their research! 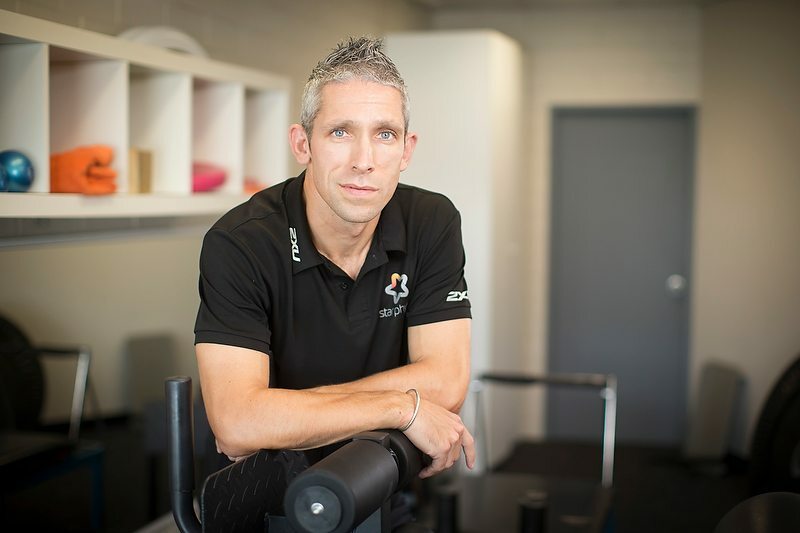 Star Physios James Debenham and Merv Travers have recently published their research into Achilles Tendinopathy, in the Journal of Science and Medicine in Sport. Awesome news! We are certainly very lucky to have such experienced and knowledgable physios working alongside us! Have a quick read of the abstract below. To describe stretch shortening cycle behaviour of the ankle and lower limb in patients with Achilles tendinopathy (AT) and establish differences with healthy volunteers. Fifteen patients with AT (mean age 41.2 ± 12.7 years) and 11 healthy volunteers (CON) (mean age 23.2 ± 6.7 years) performed sub-maximal single-limb hopping on a custom built sledge-jump system. Using 3D motion analysis and surface EMG, temporal kinematic (lower limb stiffness, ankle angle at 80 ms pre-contact, ankle angle at contact, peak ankle angle, ankle stretch amplitude) and EMG measures (onset, offset and peak times relative to contact) were captured. Data between AT and CON were compared statistically using a linear mixed model. Patients with AT exhibited significantly increased lower limb stiffness when compared to healthy volunteers (p < 0.001) and their hopping range was shifted towards a more dorsiflexed position (p < 0.001). Furthermore, ankle stretch amplitude was greater in AT compared with healthy volunteers (p < 0.001). A delay in muscle activity was also observed; soleus onset (p < 0.001), tibialis anterior peak (p = 0.026) and tibialis anterior offset (p < 0.001) were all delayed in AT compared with CON. These findings indicate that patients with AT exhibit altered stretch-shortening cycle behaviour during sub-maximal hopping when compared with healthy volunteers. Patients with AT hop with greater lower limb stiffness, in a greater degree of ankle dorsiflexion and have a greater stretch amplitude. Likewise, delayed muscle activity is evident. These findings have implications in terms of informing the understanding of the pathoaetiology and management of AT.